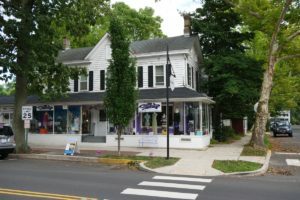 Nancy Sheehan founded Cranbury Therapeutic Massage in 1995 with the belief that regular massage therapy can be a powerfully relaxing and centering experience that contributes to lasting improvements in health, balance and awareness. Her clinical training and experience qualify her as an expert in dealing with a wide variety of muscular conditions. Nancy is a graduate of International School of Massage Therapy, San Francisco, CA (Class of 1988). She received her BA in Environmental Studies from Alfred University (1979) and is certified with the California School of Herbal Studies (1985) and as an Integral Yoga Teacher (1982). Nancy has studied Shiatsu and Traditional Chinese Medicine at the Shiatsu Institute of San Francisco and is certified in Traditional Thai Naud Bo Rarn Massage at the Institute of Traditional Thai Massage in Chaing Mai, Thailand. She is a student of Wise Woman Herbal Healing in Woodstock, NY. She has traveled extensively – 82 countries so far! She has been a staff member aboard Lindblad Expedition cruises to the Antarctic, the Arctic and places in between. She traveled to the Mt. Everest base camp in Nepal and studied with His Holiness the Dali Llama in Ladahk, India. Nancy has studied with Yogacharaya BKS Iyengar (1994, 2000) and with Sri K Pattabi Jois (1994) in India. 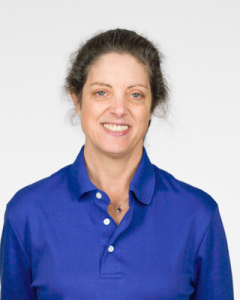 Nancy keeps abreast of new theories and practices in massage and manual therapy by studying with notable teachers in the field including Tom Myers, Doug Nelson, Tom Hendrickson, and Whitney Lowe. Nancy enjoys active outdoor sports such as hiking, biking and swimming. While she enjoys singing, she is the first to admit that she is unable to carry a tune! Rachel finds giving massage almost as relaxing as receiving it. She values the body and mind’s need to balance activity with rest, allowing one to return to homeostasis and wellness. 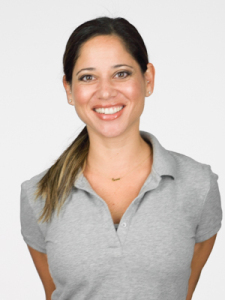 A licensed massage therapist, Rachel works with a variety of clients and her massage style is one of subtle intensity. Her hands see beyond skin; molding, reconnecting, and reminding. Her work inspires a sense of renewal to restore optimum function throughout the body. She allows the body to de-stress, helps alleviate discomfort from fibromyalgia and other chronic pains, tendonitis and tendonosis. She integrates neuromuscular massage, deep tissue, Swedish massage, pregnancy massage and geriatric massage. Prior to graduating from Gentle Healing School of Massage, Rachel earned a B.A. in Accounting from West Chester University and a Masters of Business Administration from Penn State University. She changed her career to massage therapy simply because, after incorporating massage as part of her wellness regiment, she realized the healing power of touch.